Welcome Undergrounders! 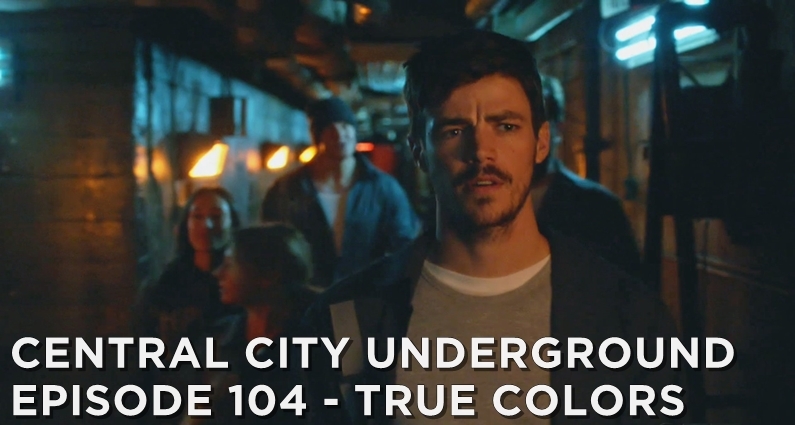 This week we discuss the 13th episode of season four titled “True Colors”. In this story we find our hero in a bit of a tight spot. After moving The Flash to the meta-wing of Iron Heights Prison, the warden reveals his true colors. The Flash and the bus-metas are to be sold on the metahuman black market. Barry must use his smarts to free them from Warden Wolfe or risk becoming property of Amunet Black. Meanwhile, Dibny suffers yet another crisis of faith. This time it comes with the added bonus of a new power-set. Dibny is more than the man who elongates, he is a metamorph. Will it be enough to stop Devoe’s plans and clear Barry’s name? Sure, with just a little bit of luck!